At the vantage point atop a hill, a marvelous sight unfolded in front of our eyes. A beautiful horse-shoe-shaped gorge framed by a dusty brown background. A series of rock-cut caves embedded along the U-shaped curve in the hillside. 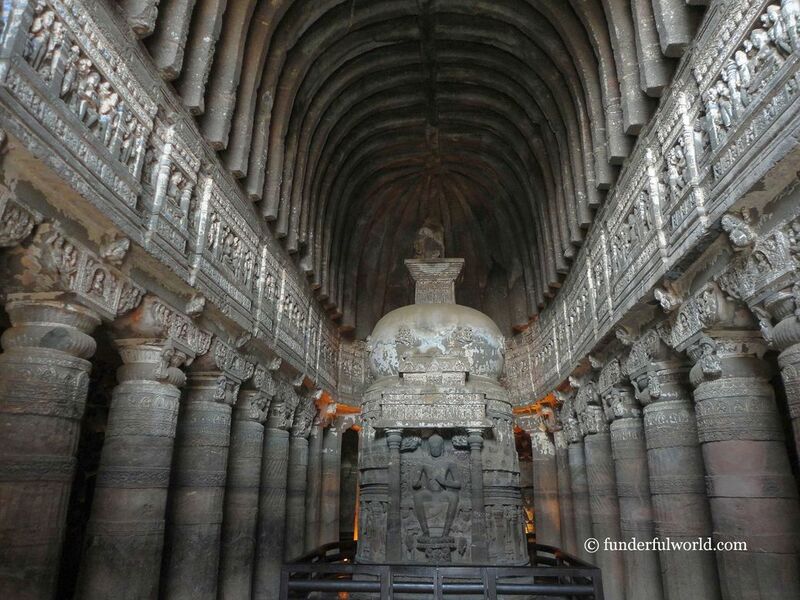 It was here that John Smith, while on a hunting expedition in 1819, discovered the existence of the Ajanta Caves, a site that had disappeared into oblivion for a long time. Lost and found. 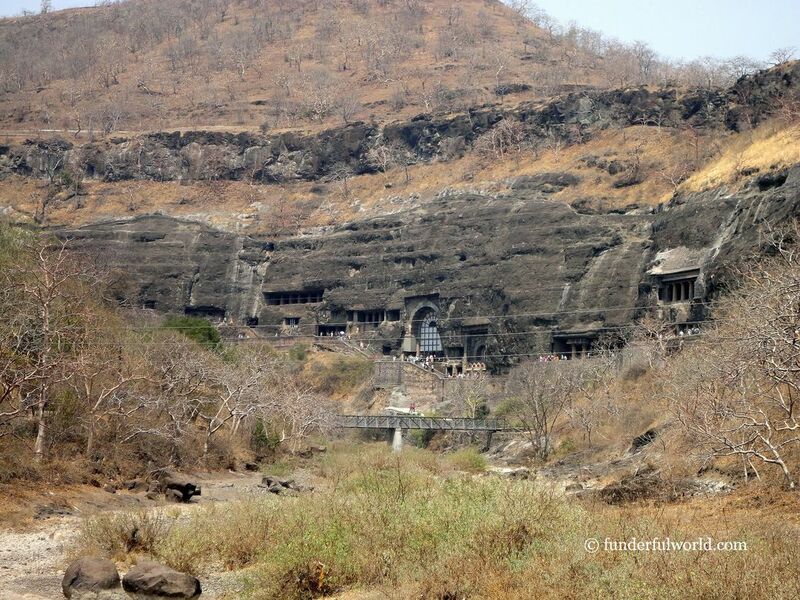 A panoramic view of the Ajanta Caves, India. 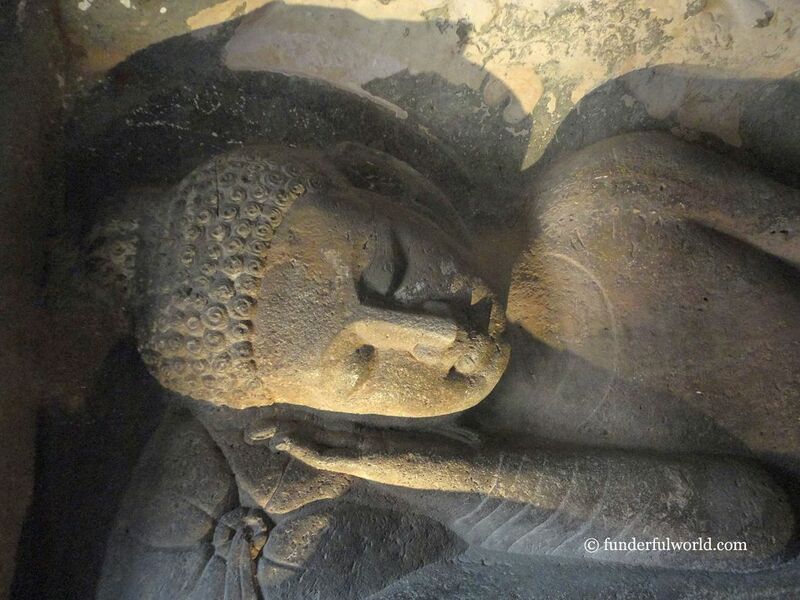 Today, the 29 caves at Ajanta offer visitors a precious opportunity to explore Buddhism through magnificent sculptures and art. These ancient caves (dating as far back as the 2nd century BC) are a history and architecture lover’s dream come true. 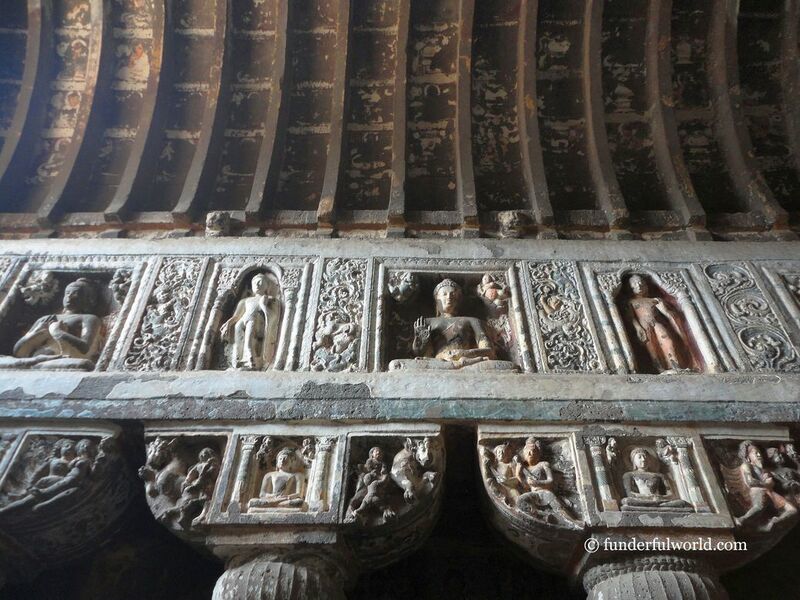 The chaitya grihas and viharas at Ajanta are a treasure trove of stories… some well known, others waiting to be told and heard. 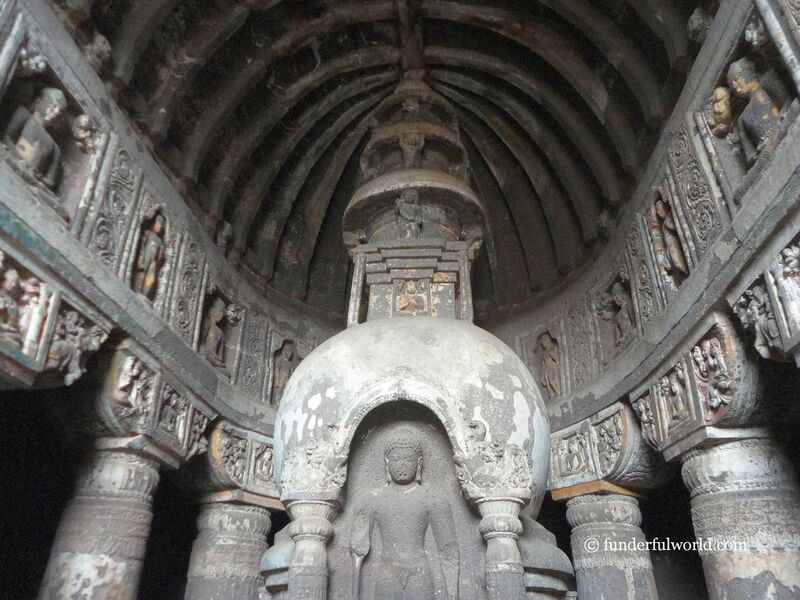 After an amazing journey of discovery at the Ellora Caves the previous year, it was time to complete the circuit by visiting the Ajanta Caves. 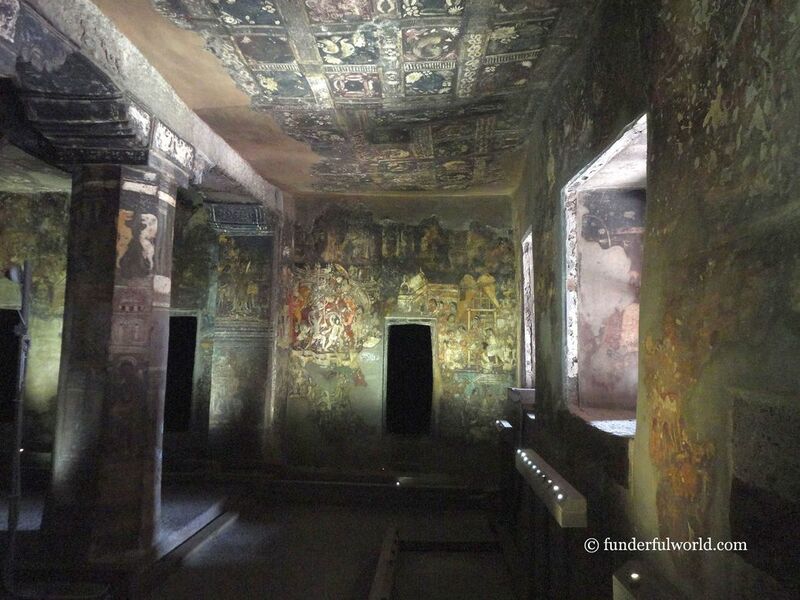 And so, we set off on a trip to Ajanta. After a long drive from Pune to Ajanta (~350 km), we checked in at MTDC’s Ajanta Tourist Resort (MTDC), Fardapur. The room was clean and comfortable, the outdoor area was bright and spacious, and the kids play area was an instant winner with Junior. For an immersive experience, we planned to explore the caves over two days. This decision helped us observe and appreciate the art and architecture of the expansive site at a leisurely pace. With the unhurried approach, we were able to avoid fatigue, overwhelm, and the intense afternoon heat. Although many visitors manage to visit the site in a single day, the two-day itinerary worked well for our family. Reflective moments. Ajanta Caves, India. On our first day at the UNESCO World Heritage Site, we boarded the shuttle to the caves. As the bus moved ahead, we were struck by the remoteness of the location. A 15-minute ride took us to the site entrance, where the ticket counter was buzzing with activity. Armed with our tickets, water bottles, and caps, we headed to explore the numerous caves. 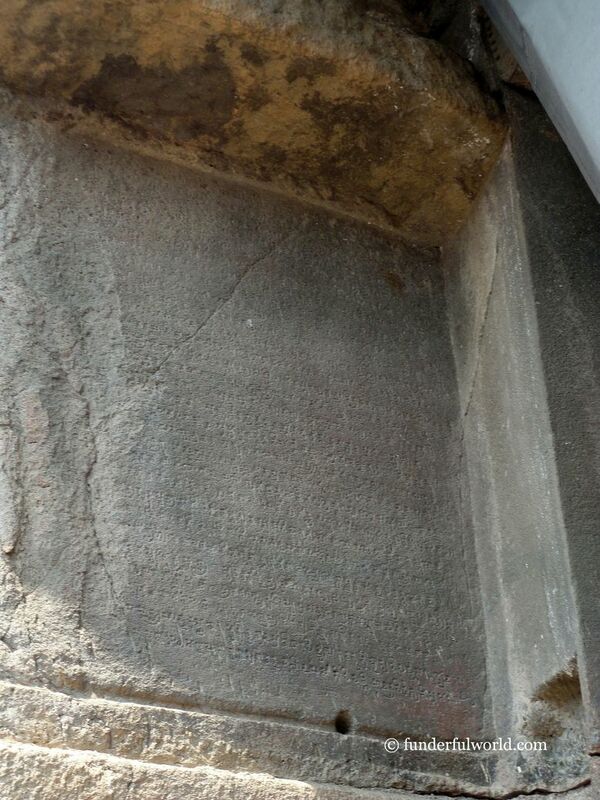 Our first destination was the last cave, Cave 26. We walked past all the other caves (encountering amused and curious glances from guards and some tourists) to reach the last one. To see the magnificent reclining Buddha. And from Cave 26, we began our journey of discovery. Over the next three to four hours, we listened to the stories narrated by every cave, from Cave 26 to Cave 11. And what an amazing journey it was! While detailed information about each cave is available at AjantaCaves.com and Wikipedia, I have chosen a few photographs to describe our experience. The reclining Buddha. Cave 26, Ajanta Caves, India. Architectural marvel. 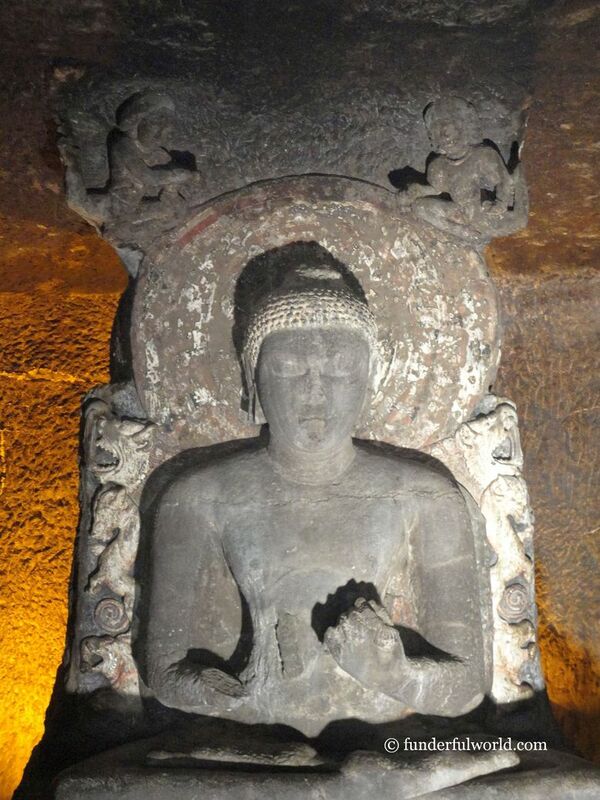 Cave 21, Ajanta Caves, India. Grand entrance. 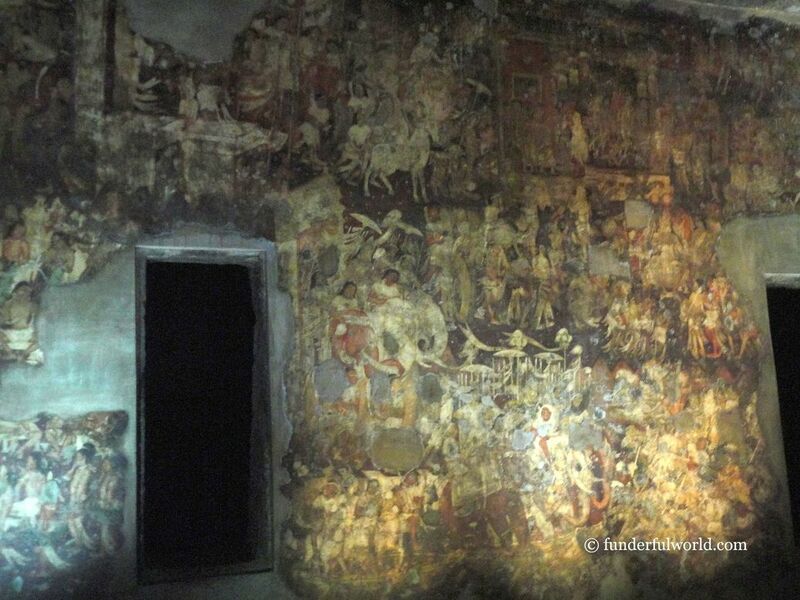 Cave 19, Ajanta Caves, India. Treasures from the past. Ajanta Caves, India. Indelible impressions. Ajanta Caves, India. In search of peace. Ajanta Caves, India. Art gallery. Ajanta Caves, India. Stories galore. Ajanta Caves, India. Invaluable treasures. Ajanta Caves, India. 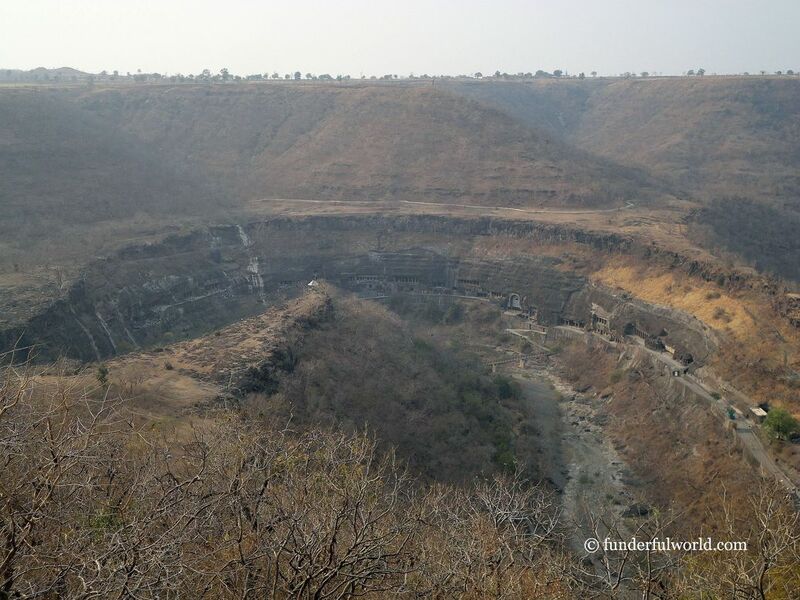 In the evening, we visited the spot that offers a fantastic distant view of the Ajanta Caves. The panorama from the viewpoint was the perfect end to our busy day. 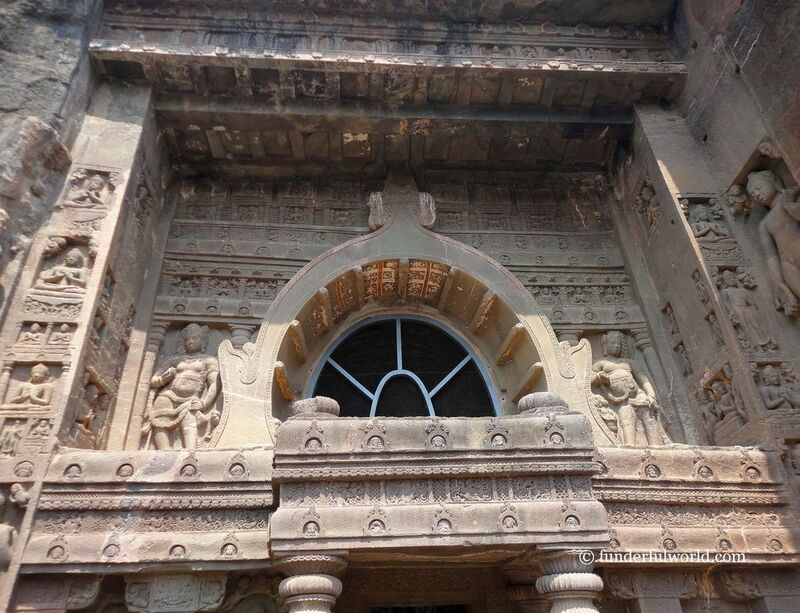 This place is located at a distance of about 10 km from Ajanta. Bird’s-eye view. 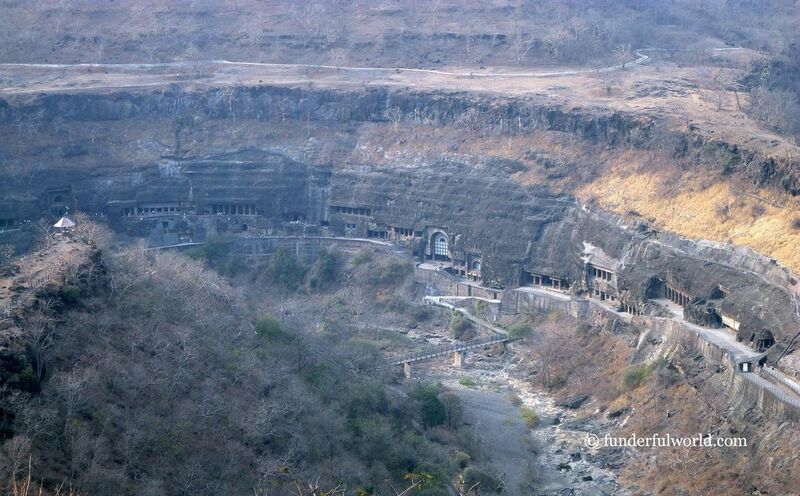 Ajanta Caves Viewpoint, India. 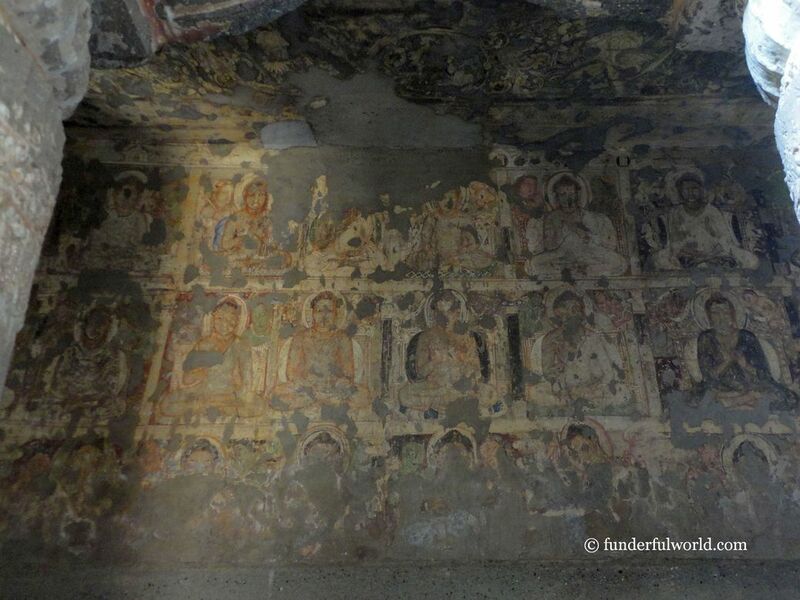 The Ajanta Caves lie at a distance of about 100 km from Aurangabad. The site is a popular attraction among visitors of various nationalities. For an immersive experience, consider setting aside a couple of days to visit all the caves. If you are visiting for a day, some caves can be prioritized over the others (based on your interest).